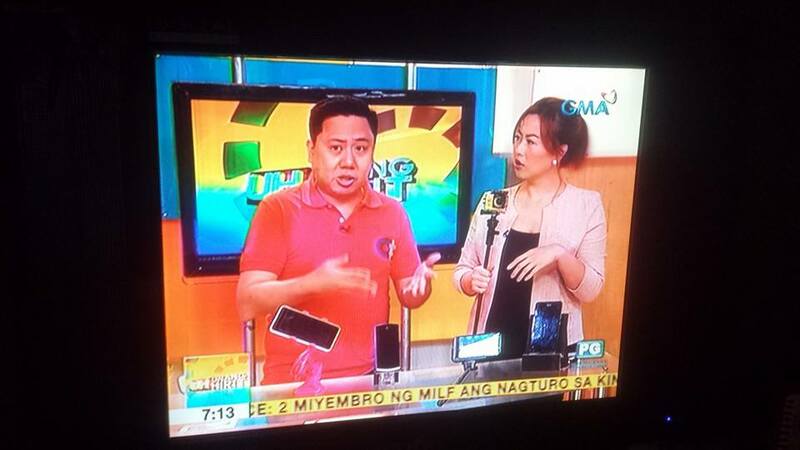 Digital Walker has just released its latest brand of accessories which people-on-the-go can rely on. 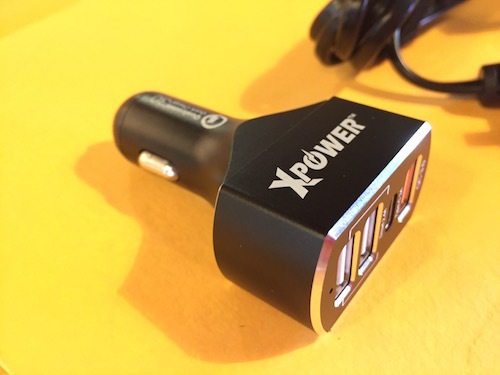 XPower products come in four main categories that are based on the most popular demands of customers: powerbanks, chargers, cables, and headphones. Each product is designed to help you get through your day. 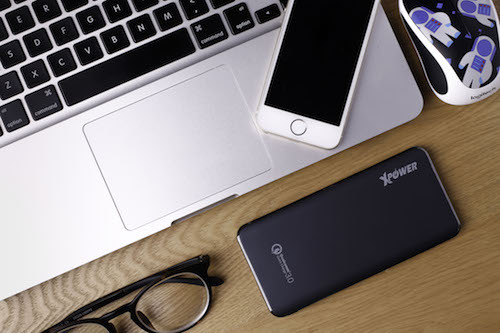 As a power-user myself, I’m interested in the XPower PB12+ Powerbank. The PB12+ has a battery capacity of 12,000 mAh but its weight tells a different story. 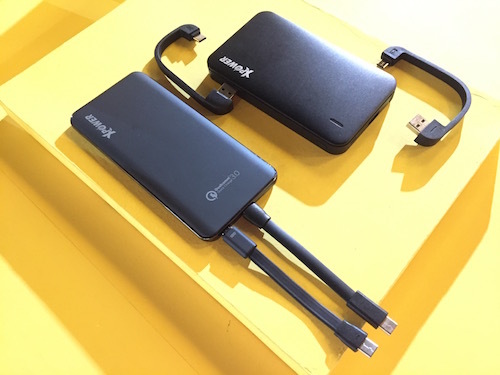 It’s very easy to carry and has 3 built-in cables to charge your everyday gadgets. 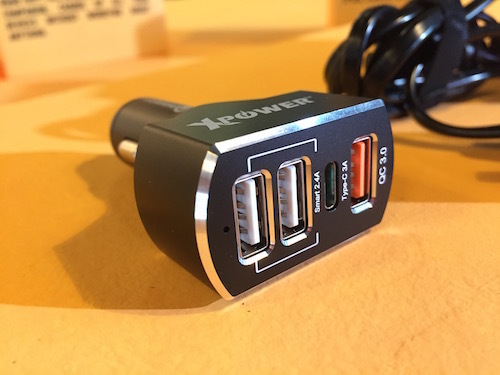 The XPower CC4QC is the Godzilla of all car chargers I’ve ever seen! It comes with 1 quick charge 3.0 port, 1 type C port and 2 smart IC port which should address your issues on which gadget to charge first. The Qualcomm Quick Charge 3.0 technology can charge 400% faster than a standard charger. This should be very helpful when you’re low on battery and you’re driving to your next meeting. Industry grade materials and premium circuitry ensure the safest charging experience at all times, to protect you, your device and property from short circuit, over-charge, over-discharge, overheat and overcurrent. Recently I grew tired of buying cheap cables because, obviously they don’t last long. The 3-in-1 Aluminum Alloy Cable should be my next purchase because it has Type-C, Lightning and the usual Micro USB tips. No worries about losing the Type-C and Lightning tips. 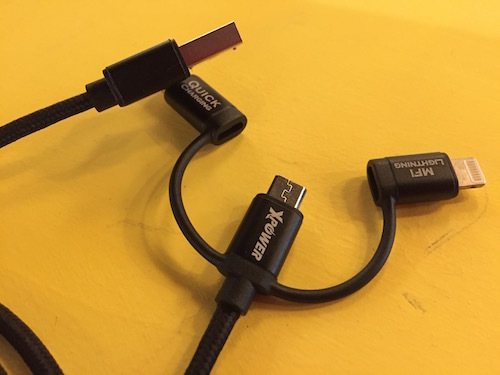 They are attached by nylon and can be attached to the Micro USB tip when needed.